"Ireland unfree shall never be at peace," Patrick Pearse declared in 1915 as he was standing at the graveside of O'Donnovan Rossa. With the 100th anniversary of the Easter Rising of 1916 approaching, there is a great deal of reevaluation and revisionism going on in the literary and historical circles. As a a historical novelist, I am fascinated by the internal conflict among the Irish rebels, even more so than by the eternal Anglo-Irish conflict. Irish revolutionaries had very different ideas of what constituted "the good of the country". They could not agree on when they should strike, and if they should strike. If you peek inside the world of romantic amateur soldiers, you'll be moved and horrified at the same time. That was the world I wanted to describe. 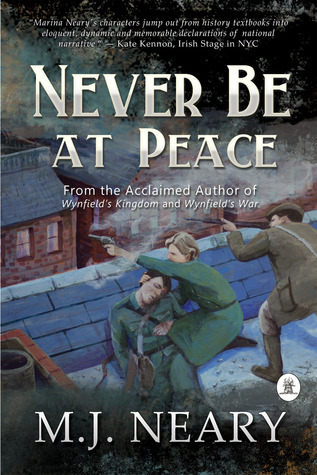 "Never Be at Peace" is my third novel in the series dealing with the early 20th century Irish nationalism. The plot revolves around the political and intimate misadventures of Helena Molony (1884-1966), an Irish actress, writer and labor activist who had fought on that fateful Easter Monday alongside her comrades. The original title was "Tears of Emer". Emer was Helena's stage and pen name which she borrowed from the Irish mythology. In reality she had nothing in common with that mythological heroine. Emer embodied feminine guile and cruelty, and did not cry unless she was trying to manipulate a male in her presence, while Helena was tomboyish, open-hearted, naive and self-sacrificing. Even though Helena is the central figure, the novel is not just about her, so I changed the title to something broader which would apply to an entire generation of Irish freedom-fighters. My husband suggested incorporating a fragment from Pearse's speech. Never be at peace ... The irony is that peace was never in the cards for Ireland, not after a semblance of freedom was achieved. There was still a lot of bloodshed and suffering in store for the newly liberated nation. About the book: A pugnacious orphan from a bleak Dublin suburb, Helena Molony dreams of liberating Ireland. Her fantasies take shape when the indomitable Maud Gonne informally adopts her and sets her on a path to theatrical stardom - and political martyrdom. Swept up in the Gaelic Revival, Helena succumbs to the romantic advances of Bulmer Hobson, an egotistical Fenian leader with a talent for turning friends into enemies. 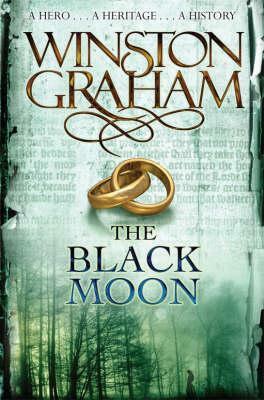 After their affair ends in a bitter ideological rift, she turns to Sean Connolly, a married fellow-actor from the Abbey Theatre, a man idolised in the nationalist circles. As Ireland prepares to strike against the British rule on Easter Monday, Helena and her comrades find themselves caught in a whirlwind of deceit, violence, broken alliances and questionable sacrifices. In the words of Patrick Pearse, “Ireland unfree shall never be at peace”. For the survivors of the Rising, the battle will continue for decades after the last shot had been fired.